So. There’s this Game on Sunday. My people — the people of The Great State of Colorado — are pretty excited about it. So far on the menu –veggies and hummus. Chips and guac. Probably some chili. And margaritas. Mmmm. 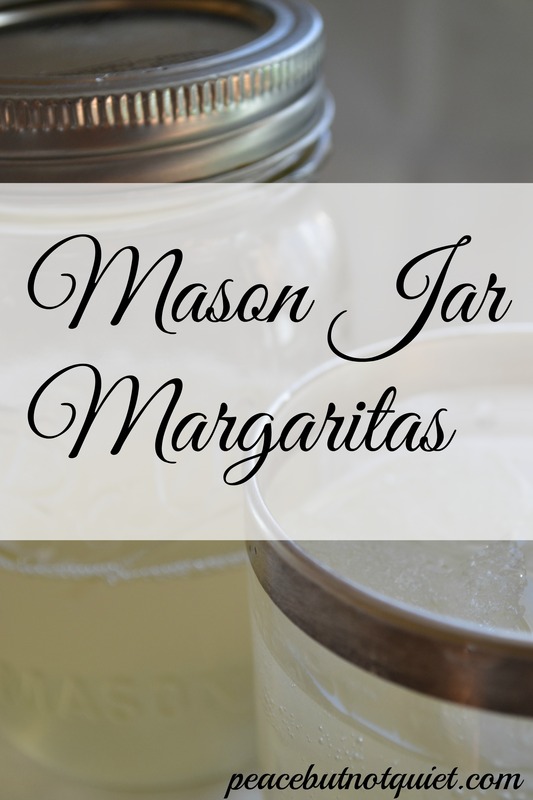 Mason jars are actually perfect for margarita-making, because they function both as measuring cups and serving pitchers. And — my apologies to margarita-purists — but adding the splash of whiskey really does something special. Since we are in Colorado, we used Colorado-based Leopold Brothers Small Batch Whiskey. Is good stuff, people. Good stuff. 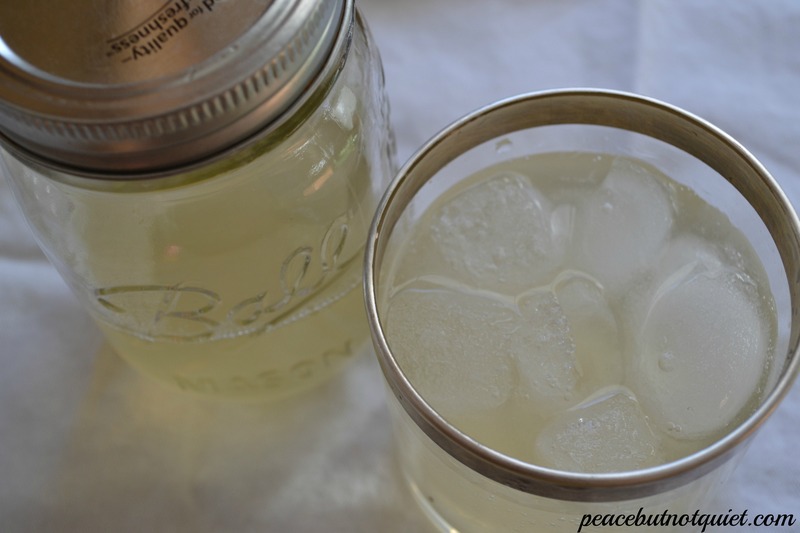 In a Mason jar, fill to the first line (1/4 c) with tequila. Fill to second line (another 1/4 c) with triple sec. Fill to fourth line (another 1/2 c) with limeade. Add a splash of whiskey, seal lid and shake. Fill an Old Fashioned (or "lowball") glass to the rim with ice cubes, pour margarita over ice and serve. Serves 2. Thank you for visiting Peace but Not Quiet! I’d love it if you’d like me on facebook and follow me on twitter!